(Seychelles News Agency) - Seychelles will become the fourth country in the world and the first one in Africa to host an elite junior swimming competition of the International Swimming Federation (FINA). “This is another historical moment for Seychelles as we are pioneering open water not only in Seychelles but also in the African continent,” said David Vidot, the chairperson of the Seychelles Swimming Association. “At the moment, we are hoping to host it back to back with the world cup series as both events will be hosted at Beau Vallon. This will allow us to make the most out of our resources,” said Vidot. It was added that the junior championship might be hosted during the week that follows the final race of the FINA/Hosa Marathon Swim World Series. There will be three age groups and three distances - 3km, 5km and 7.5km – in which participants will compete. 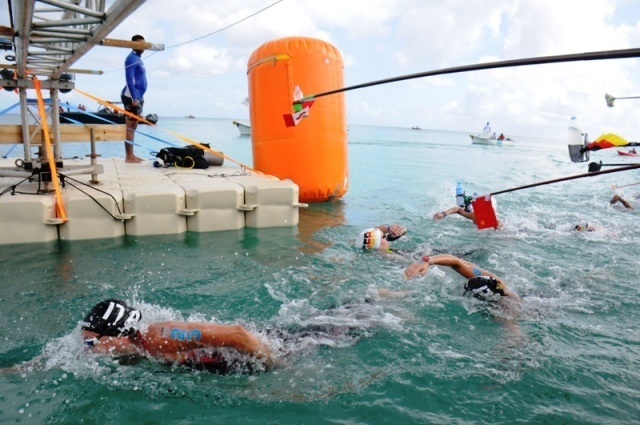 Two Italians - Simone Ruffini and Arianna Bridi - came out as the winners of the men’s race and women’s, respectively in last year’s FINA/Hosa Marathon Swim World Series held in Seychelles. “Such big events are broadcast by major television channels and this is a way for people to indirectly discover the destination for the first time. We have noticed in the past that having international press cover such events has allowed us to receive more leverage and visibility as a small country with little resources,” said Francis.